At MacLarty Dental Lab, we take pride in all our work. After all, our family name goes with all products we make. We take the time to do everything right and only offer a premium denture. All of our dentures are processed using Lucitone 199 and are injected using a Dentsply's Success injection unit for a better fit. Lucitone 199 acrylics come in four different colors for you to choose from or we can mix them for a custom color. This is an example of the most popular colors. From left to right we have Dark, Original and Light. There is also a Light Reddish pink. This picture has Lucitone 199 Original on the Left and on the right is Light. They are pretty similar, but the light is lighter and the fibers in the acrylic stand out a little better. 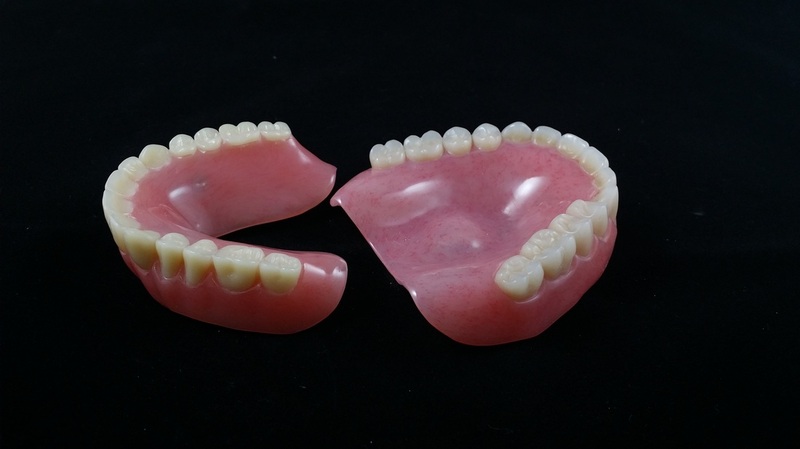 Take a close look at how we finish our dentures. They are smooth and polished. We feel it is the best finish to make our dentures easy to keep clean. 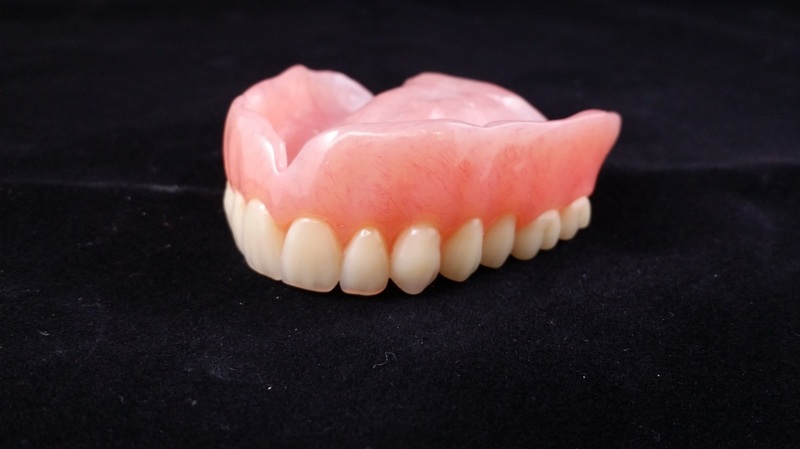 We can also add rugae or stippling to the dentures upon request. This is an example of the typical denture process.